The 2012 Ford World Women’s Curling Championship will showcase the best female curling teams from around the globe, when competition gets underway at the ENMAX Centre in Lethbridge, Alberta in the middle of March. Over the course of the next month, national championship playdowns and selection processes in twelve countries will determine the actual teams which will make the trip to the event. The nations we know. The team personnel, until now, had yet to be determined. We now know that Margaretha Sigfridsson and her Skelleftea team of Maria Prytz, Christina Bertrup and Maria Wennerstrom will be wearing the Tre Kronor emblem at the Lethbridge shootout, after capturing that country’s national championship in Ostersund on January 29. They upset the reigning world women’s championship team of Annette Norberg, Cissi Ostlund, Sara Carlsson and Lotta Lennartsson in the final by a score of 9-4. Norberg, the two-time Olympic gold medalist and three-time world champ, reportedly missed some of the tournament due to illness. Apparently a flu bug had run through the team and had affected Norberg most severely. 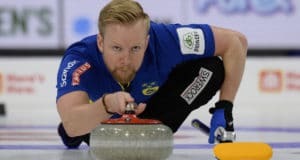 Sigfridsson skipped Sweden to a 6-3 round robin record and a silver medal at the 2002 Ford World Women’s Curling Championship after losing a final game show down to Scotland’s Jackie Lockhart by a score of 6-5. 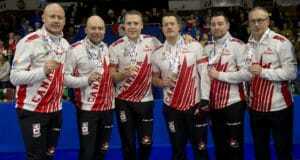 Last December, Sigfridsson, who calls the game but throws lead rocks, led her current team to a silver medal finish at the 2011 European Curling Championships in Moscow. The Swedes rang up an unblemished 9-0 record in the round robin and then rolled over Denmark 12-6 in the 1 vs. 2 Page playoff. It was another Scottish rink, this one skipped by Eve Muirhead, which tripped them up in the championship final by a score of 8-2. 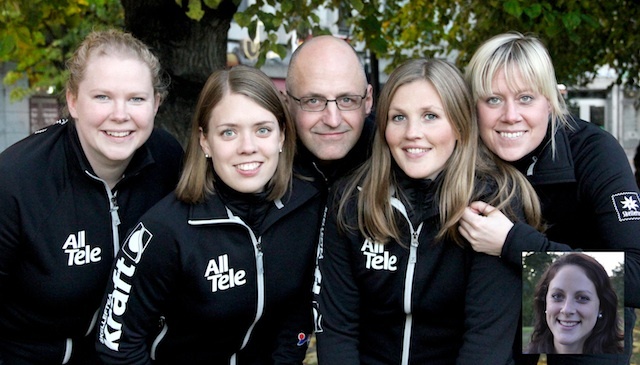 Sweden has won a total of eight world women’s curling titles over the years. The first was captured by Elizabeth Hogstrom in 1981 and the most recent was last year when the Norberg foursome stole a final end, 7-5 victory away from Kronau, Saskatchewan’s Amber Holland and her Canadian championship winning team of Kim and Tammy Schneider and Heather Kalenchuk.